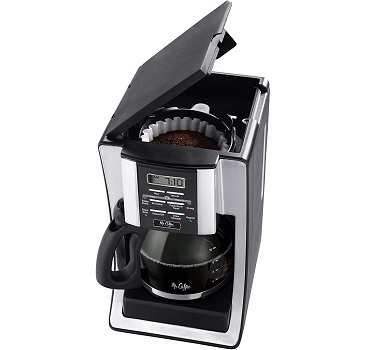 Mr. Coffee BVMC-SJX33GT-AM brings style, taste, and functionality together to create a rich blend that you'll savor for years to come without making you bankrupt. It`s a 12-cup programmable coffee maker priced under $50 and features plenty of programmable options, like Delay Brew for coffee when you want it, or Brew Strength Selector to produce a bolder, richer taste. In our list of Top 5 Best Coffee Makers Under $50, it ranked at #1. Comes with a sleek modern design and is thermal carafe compatible to extend fresh coffee flavor and help retain a hot temperature longer. Mr. Coffee BVMC-SJX33GT-AM also looks very attractive, thanks to its silver and black finish. It stands about 13” high, but to flip the lid open completely for filling will require a little over 20” of clearance space. Mr. Coffee BVMC-SJX33GT-AM can be programmed to make up to 12 cups of coffee while the thermal carafe ensures your coffee remains hot for a long period of time. Special features, such as the “pause and serve” setting, allow you to optimize your coffee for your particular needs. The programming functions itself are simple to use and are perfect for medium-sized groups. 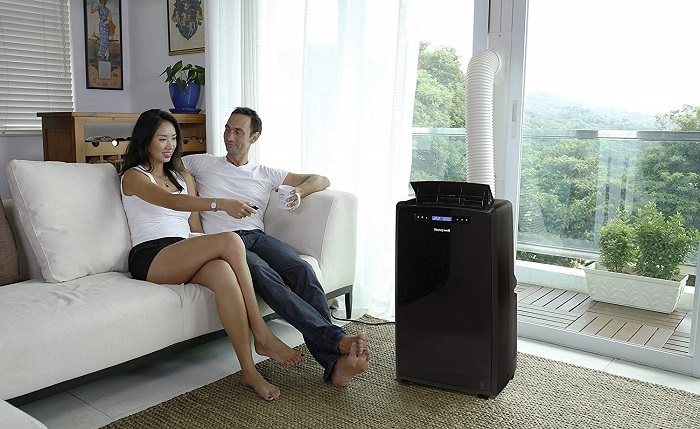 It provides a self-cleaning cycle that is simple and straightforward so you can eliminate calcium deposits. 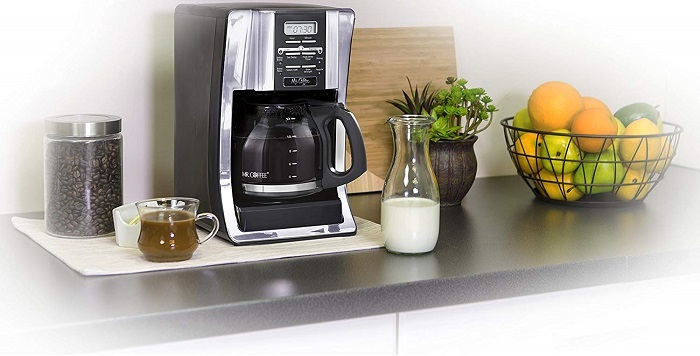 There is no need to worry about whether you have left the coffee maker on when you are at work, since this device includes an automatic shut-off function that kicks in after two hours. • Works for icy drinks as well. • Can be programmed to shut off on its own after two hours. • Has a special "pause and serve" function that allows coffee to be served while being brewed. • Drip-tray might loosen sometimes. • Produce slightly plastic taste after prolonged use. 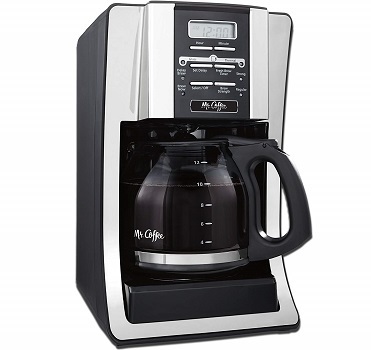 Mr. Coffee BVMC-SJX33GT-AM is an outstanding, efficient coffeemaker that can be set to make up to twelve cups of piping hot coffee in a short amount of time. Very ideal for anyone who wants all the bells and whistles of a coffee maker without the huge price tag.